Melvyn Bragg and guests discuss why revenge tragedy was so popular with Elizabethan theatre goers, from Thomas Kyd's The Spanish Tragedy to Shakespeare's Hamlet. Melvyn Bragg and guests Jonathan Bate, Julie Sanders and Janet Clare discuss Elizabethan and Jacobean revenge tragedy. From Thomas Kyd's The Spanish Tragedy to Shakespeare's Hamlet, the Elizabethan stage was awash with the bloody business of revenge. 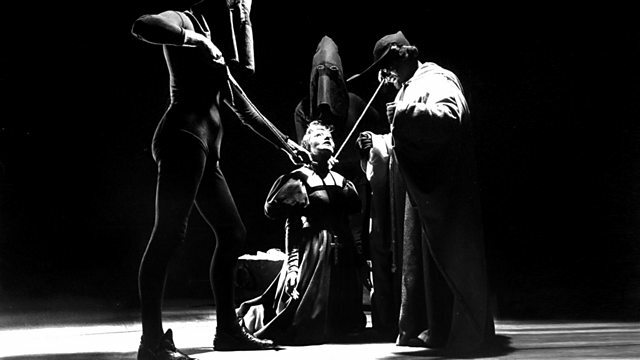 Revenge was dramatic, theatrical and hugely popular. It also possessed a fresh psychological depth in the way vengeful minds were portrayed through a new dramatic device: the soliloquy. But these tales of troubled individuals, of family wrongs and the iniquities of power also spoke to an audience for whom the vengeful codes of medieval England were being replaced by Tudor legal systems, by bureaucracy and the demands of the state above those of the individual. Therefore, the heady brew of hatred, madness, violence, evil deeds and righteous anger found on stage reflected the passing of something off stage.Jonathan Bate is Professor of Shakespeare and Renaissance Literature at the University of Warwick; Julie Sanders is Professor of English Literature and Drama at the University of Nottingham; Janet Clare is Professor of Renaissance Literature at the University of Hull.